If you or someone you know has been arrested in St. Petersburg for the crime of DUI in violation of Florida statute 316.193, the attorneys of Finebloom, Haenel & Higgins are available now to help you! 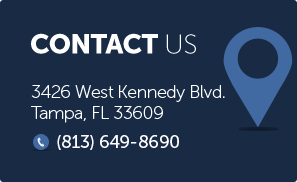 Our firm provides the most professional, dedicated and experienced dui attorneys in St. Petersburg. Our team will help you challenge your St. Petersburg dui arrest! A dui arrest can be humiliating and overwhelming. In Florida, DUI arrests are aggressively prosecuted by the State. In St. Petersburg there is a DUI unit composed of six specially trained officers whose sole purpose is to seek out drivers who are possibly impaired and arrest them. To protect yourself, you need a dui attorney who has proven experience in dui defense. There are many dui lawyers in St. Petersburg who would be willing to represent you. But you should only hire a St. Petersburg dui attorney with specific dui experience. At Finebloom, Haenel & Higgins we employ the finest dui lawyers St. Petersburg has to offer. Our attorneys have over 30 years of combined experience in Dui defense. Our attorneys will speak with you about your potential defenses and will assist you in making the best decisions regarding your case. We will represent you in all stages of your case including the administrative review, preliminary hearings and trial. The dui attorneys of Finebloom, Haenel & Higgins are also up to sate on all of the issues surrounding FDLE and the Intoxilyzer 8000. This allows us to provide the most comprehensive dui defense for your unique situation. So if you have been arrested for Dui in St. Petersburg and wish to hire a team of professional and experienced dui attorneys to represent you, call Finebloom, Haenel & Higgins now at 813-200-4412. We have attorneys available 24.7 to take your call and consult with you.